A couple of weeks back we went to 55 Days, at the Hampstead Theatre. It is a play on the trial and execution of Charles beginning with Iretons’ army marching on London just before Pride’s Purge and ending with the fall of the axe on Charles Stuart’s neck. It is a brave choice for a play. The personalities and issues are complex and the it has to be pitched nicely at the assumed erudition of the audience. Assume too much knowledge and they will be lost, but the playwright takes too many liberties with the better informed at his peril. The costume design is the most obvious statement of the play’s personality. Charles is resplendent in black velvet, lace, cavalier hair and pointed beard, straight from van Dyck. Everyone else is in early 20th Century drab. Had it not come off it would be easy to dismiss as an crass gimmick, but I rather liked it. It emphasised the apartness of Charles from all around him, friends as well as enemies. Charles was gorgeous and romantic but anachronistic amongst the bland modernity around him. There is also some nuance in the modern costume designs. The English soldiers uniforms are nothing like that of the wartime Tommy, rather great coats and berets which echo, if avoiding mimicking, Russian troops. Freeborn John Lilburne, with his round glasses, cap and coat is an unmistakable Trotsky and the suits, as attire becomes progressively more civilian are, except for Fairfax’s, dour and badly cut. The dialogue never departs for the Seventeenth Century English plot, but the visual cues are Revolutionary Russian. Inevitably, the nucleus of the play is the character of the two principal men- Charles Stuart and Oliver Cromwell. 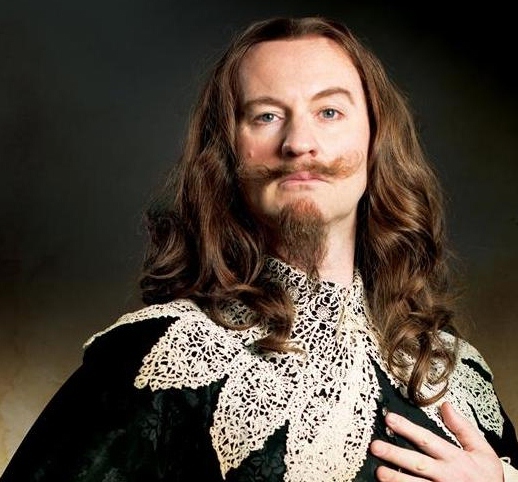 Mark Gatiss portrayal of Charles superficially is set apart by a couple of things. Firstly his incongruous costume and secondly his soft, refined but unmistakably Scottish accent. Like most of us, I’d assumed that Charles spoke like Alec Guinness. I’m not sure about the veracity of this burr, his father James’ Scottish accent was disparagingly commented on, but I’ve not read the same of Fife-born Charles, but it’s a reminder of his Stuart heritage and further sets him apart even from his English allies. His notorious stammer is sparingly used, almost exclusively on the plosive of Parliament. Gatiss is also a tall man, imposing despite his slight build , particularly alongside the diminutively cast gaoler, the Duke of Richmond. I do wonder how differently his aloofness have played from the shorter stature ascribed to Charles, staring up, not down on those around him. Apart from this, however, although superbly played by Gatiss, the Charles of 55 Days is entirely conventional. He is devious, but inept. Tactically clever but strategically inflexible. He is waspish, theatrical and aloof, genuinely convinced of his divinely ordained kingship. He is charming, but his repeated duplicity, which he justifies by his holy kingship makes him untrustworthy and untrustable and frustrates and eventually drives away sympathisers and moderates. He is misunderstood, but explaining himself to win over those willing to be won is below his dignity. This is the Charles we know. Beautifully acted and painted but unsurprising. Oliver Cromwell is always going to be the more challenging character. 350 years after his death, the English still don’t know what to make of him. Our national memory has its greats divided into its heros and villains. Churchill, Wellington, Henry V, Richard the Lionheart, Marlborough are the good guys. We accept the revisionist histories which say they were flawed, but they keep their place on the pedestal. Rarely (the likes of Clive and other colonial adventurers are amongst the few which occur) do our historical heros become otherwise. Equally those which we have labelled as villains, Bad King John, Richard III, Oswald Moseley, perhaps James II are irredeemable (often , granted, this is Shakespeare’s fault). But Cromwell, despite being arguable the pivotal character of Early Modern England, fits comfortably in neither camp. Whilst the Irish and Scots are quite sure that Cromwell is one of the principal evils in their pantheon, Cromwell has had roads, schools and even tanks named after him and, most tellingly a fine statue outside of Parliament. He is both the poster boy of parliament’s rights (despite dissolving it), reformer of the hopeless English state but destroyer of joy and beauty. The restoration was a cause of relief throughout the nation. The man celebrated with sword and bible in Thornycroft’s bronze is also the man who (allegedly) banned Christmas and set loose the Major Generals. Douglas Henschall isn’t the physical Cromwell we are used to. He is fair haired, mobile and energetic. There is a hint of flamboyance in his dress contrasting the uber-austere Cromwell of popular perception. At the start of the play he is nominally subservient to Fairfax, and a peer of Ireton but accepted by all as the real leader of the Parliamentarian cause. He is charismatic and as well as being universally admired is, more surprisingly, liked- a good companion as well as an inspiration. The play charts his path from opponent of the trial of Charles to its architect and guarantor of its verdict and sentence. With each incremental step, his acceptance of the purge, agreement to the trial, betrayal of Freeborn John and rigging of the verdict is seen by Cromwell as necessitated, not by the neutral predetermination of fate, but of divine providence and, in the absence of anyone else with the strength, will and competence he, must be the instrument of God’s will. He moves progressively from a seemingly reluctant tool of this divine ordination to an increasingly enthusiastic one. Only as we near the denouement are we allowed a shadow of doubt as to whether his motives were more Machiavellian. Henschall’s main mark on the part is the extraordinary meter of his delivery. His tortured pauses in his words, before his line, mid-sentence, or mid phrase at times left me expecting an intervention from the prompter. It was unsettling, but ultimately effective. His laughter, which infects his colleagues, as he signs the death warrant, was unsettling and one of the moments of the play. In a set piece, near the end of the play, Cromwell visits Charles in prison,offering him a final chance to compromise, and promising that he and he alone could and would save him. Charles rejects him. No such meeting ever occurred. I have no problem with this device in itself- this is drama, not documentary, but I have always felt that the fact the two men did not meet has a poignancy in itself and I slightly regretted its loss. There are a plethora of other characters perhaps too many to give them justice. The stately Fairfax, nominal commander in chief but with increasingly little stomach for the fight plays and Ireton, Cromwell’s peer play their role, but aren’t fleshed out. 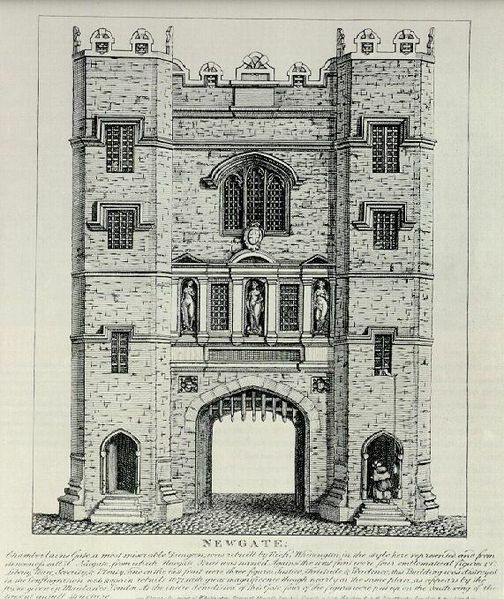 Freeborn John Lilburne, the leveller firebrand is a bit of a disappointing caricature; Richmond, Charles’ morally torn gaoler stands for all those the King betrayed and disappointed. In a strange change in pace near the end of the play we are introduced to John Cooke, the solicitor general who led the prosecution, and was later executed as a regicide. The battle to make the trial legal was actually one of the most satisfying parts of the play and perhaps Cooke might have made an interesting third member of a triumvirate of leading men with the King and Cromwell, but we were left with a tantalising but unfulfilled sub plot and a rather confused portrayal of his devoted wife. In fact the female characters were rather badly served in the play. Lady Fairfax who famously heckled the court during Charles trial and was threatened with loaded muskets is one of the more interesting individuals of tale of the trial and probably worthy of a play of her own, but also felt rather bolted on to 55 Days. I perhaps criticise too much, though. It was a cleverly staged, elegantly acted and thoroughly enjoyable night at the theatre and a thoughtful take one of the most gripping but elusive episodes in English history. That it watched Cromwell with a puzzled frown rather than truly explaining him is both forgivable and entirely proper. 350 years of historians have not, so why should two and half hours of drama?